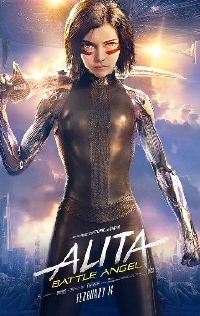 Today, global pop sensation and 2019 double Grammy nominee Dua Lipa released a new single and video in anticipation of 20th Century FOX's cyberpunk extravaganza Alita: Battle Angel, the epic action-adventure from visionary filmmakers James Cameron and Robert Rodriguez. The film Stars Rosa Salazar, Christoph Waltz, Jennifer Connelly, Mahershala Ali, Ed Skrein, Jackie Earle Haley and Keean Johnson. The music video, directed by Floria Sigismondi, places Lipa on the treacherous streets of "Iron City" in the middle of Alita's world. In addition to the video, 20th Century FOX has released a new clip from the film, showing Alita exploring newfound skills that may hold a clue to her mysterious past.